Enjoy barbeque immersed in the celebrated tradition of the South with flavors of world-famous BBQ styles from Tennessee, Kentucky, Texas, the Carolinas and Missouri. Offering family style dining in a rustic and casual restaurant, enticing rubs and marinades slowly smoked over hickory, oak and fruit woods, Virgil’s Real BBQ will not disappoint. 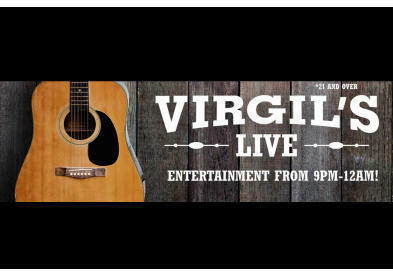 BBQ, home style sides, sweet ending desserts and live music on the weekend make Virgil’s Southern Hospitality complete!